Jagadguru Shri Kripaluji Maharaj: Narad Bhakti Sutra..
Kripaluji Maharaj teaches that Bhakti is eternal it is the eternally existing path to attain God.God is one, so the path of his attainment is also one, and thus, the same path of bhakti ensures the attainment of any of the forms of God. The path of bhakti is prevalent in every brahmand of this entire universe and it is for all souls of this universe. It remain the same in all the four yugas (satyug, treta, dwapar and kaliyug) and, as it is directly related to soul and God, it is above caste, creed, sect and nationality. It can be adopted by any person of any nation of this world, because it is gifted by the supreme god himself for the benefit of the humankind; and again there are no physical requirements in doing bhakti. 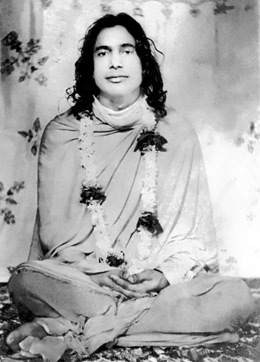 There are no meditation postures to adopt, no concentration techniques to follow and no ritules to observe. so it can be alone by anyone young, old or sick and at any time in twenty-four hours, because bhakti is the pure love of your heart that longs to meet the Divine beloved of your soul in this very lifetime.